Russell Crowe’s Leandro Bisiach violin, played in the film ‘Master and Commander’ is to be auctioned on 7 April 2018. 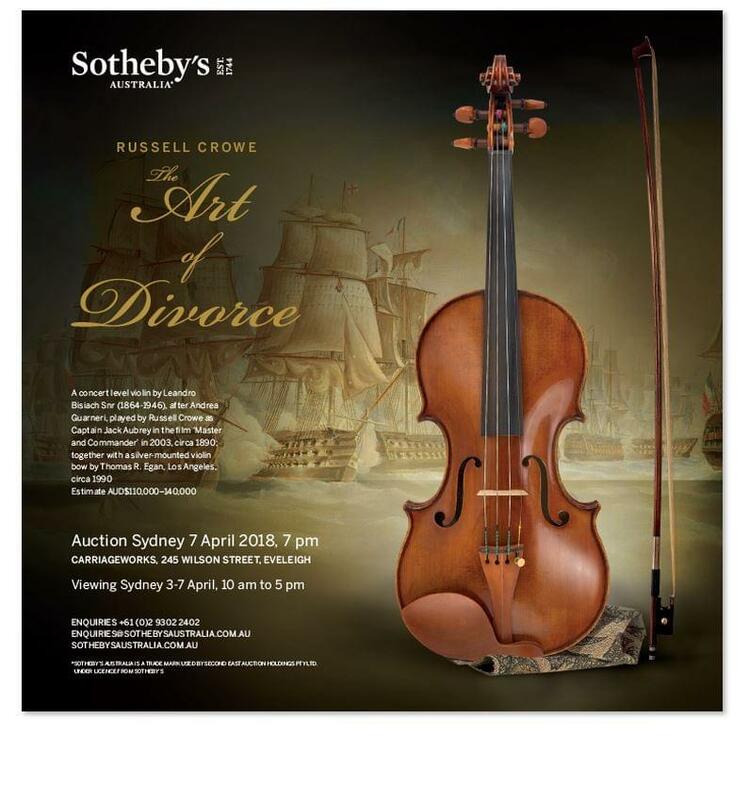 Ingles & Hayday are pleased to announce the sale of a violin belonging to the actor Russell Crowe – known for films including Gladiator, A Beautiful Mind and LA Confidential. The instrument is to be sold at auction on 7 April at Sotheby’s Australia. The violin, by the leading Milanese maker Leandro Bisiach (1864-1946), was used by the Oscar-winning actor as the character ‘Captain Jack Aubrey’ in the film, Master and Commander (2003) and is dated 1890.